The leaves are changing colour, the fungi is looking magnificent, snakes are heading for hibernation and the fallow deer are rutting! It may be cold and wet out there, but who can say this time of year is boring? However, there a few things to be aware of! - During the months of October and November the fallow deer mate. This is called the rut and the bucks will patrol their territory, herding and protecting their doe's. 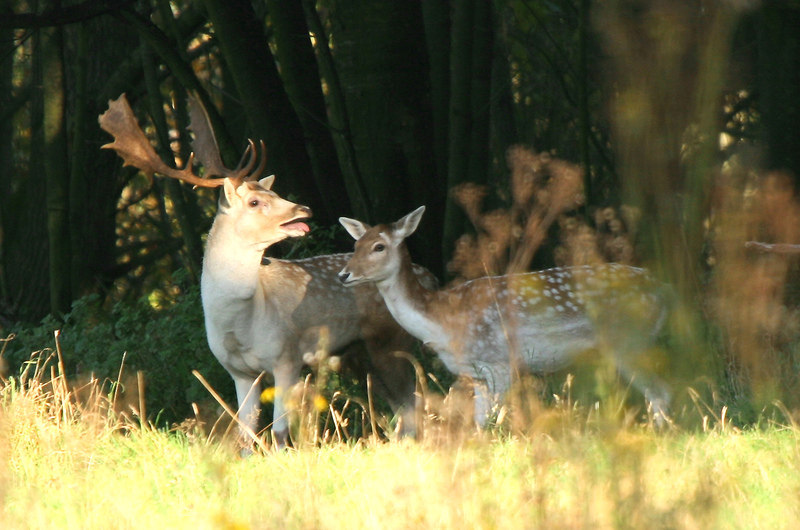 While walking you can hear them calling from their stands and if you are lucky, you can sometimes hear the clash of antlers as they engage in battle! There has been some recent reports of dog and boar incidents in the forest and although none have been fatal, its still not nice to see a dog injured and the owners shook up. The rut could be forcing the boars from the deeper parts, to the edges of the forest, and this is where they will come into contact with humans (and dogs) more frequently. 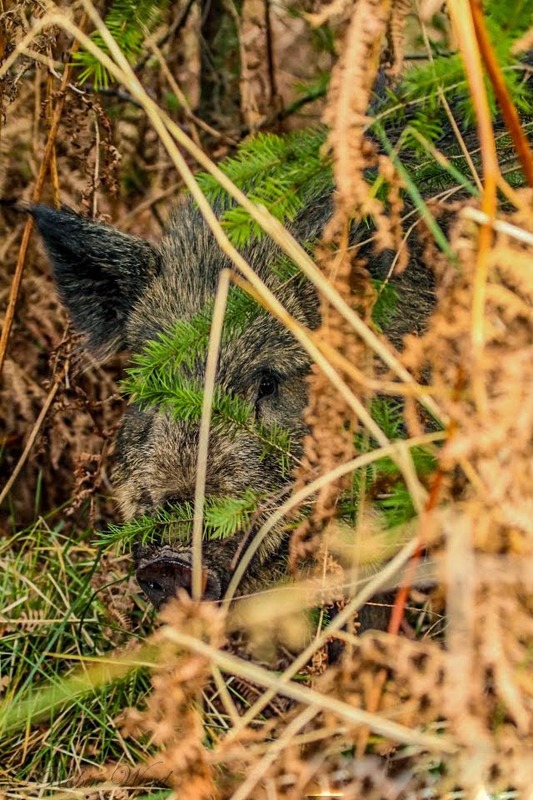 Please be alert at all times when walking in the forest and if you feel uneasy, keep your dog on a lead and close to you until you are in an area where you are sure you will not come across any boars. Some boars get alarmed by the presence of dogs, especially if they have young nearby, and/or if the dog is barking. You can't stop your dog barking, but common sense "should" tell you to go another way if you spot them. Why take the risk? Dogs should always be under control in our forest and only the other day, after someone told me that they were supposedly charged by a wild boar, I was faced with a comment from them saying "what if I was a child?" My answer to this is simple - Forget the boars, I would be more concerned with all the dogs running around off lead. They pose a greater risk to children than any of our wildlife critters! This time of year also poses a greater risk of collision with a deer (and now boar) while driving. Poor light during the early morning and late evening is when you must be extra vigilant as both the boar and the deer move around considerably at this time. Hitting one of these animals in your car, or on your motorbike can be devastating for all concerned! 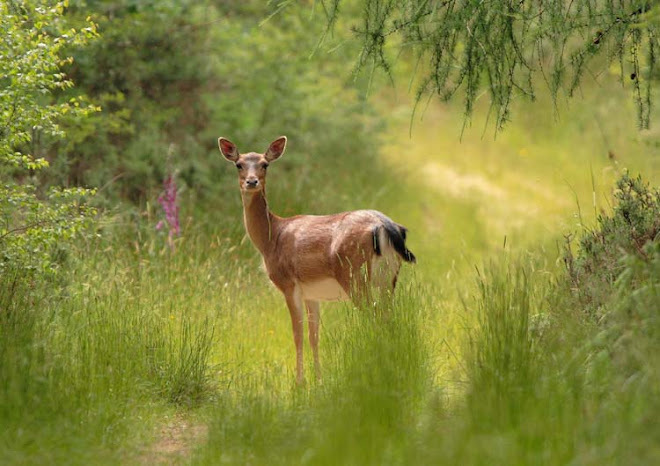 The animal will almost certainly die, probably after a very long and excruciating time, but your car will also sustain untold damage and imagine a mature fallow deer buck smashing into your windscreen! There are too many incidents on our roads at this time of year, involving our wildlife, so please take it easy and look after yourself as well as our wildlife! We have our own boar problems here in central, coastal CA where they are not native. Here's our biggest (read: over $8.6 million verdict) boar traffic hubbub: http://www.verdictsearch.com/index.jsp?do=news&rep=recent&art=170286. The unfortunate thing was the motorcycle fellow was proven by blood test that he had drank too much alcohol just prior to his encounter with any boar.